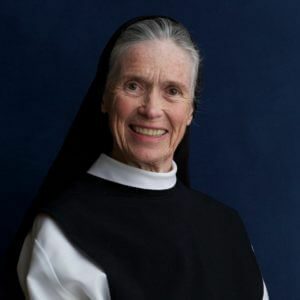 We express our gratitude to our friend Guy Atchley for his individual portraits of our Sisters. 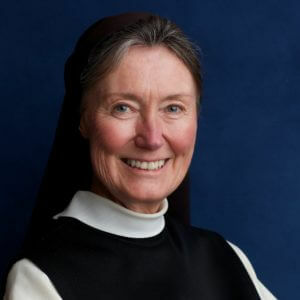 Our prioress, Vicki is also one of the foundresses of our monastery. 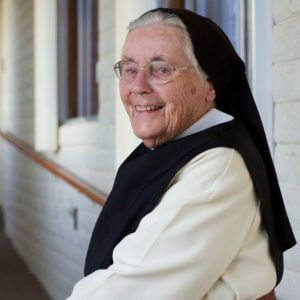 A Cistercian Prioress is a leader and more—a friend, spiritual guide, image of the Cistercian spirit, and (with her marvelous smile and gift of ready humor) sustainer of morale. She holds down several jobs in the community, taking her turn at common chores. And in Vicki’s case, selflessly acting as principal driver. 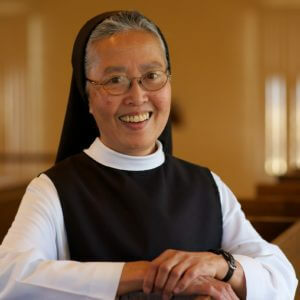 The position of prioress is a function and more, an honor and more, a life-sustaining presence to a vibrant and striving community. 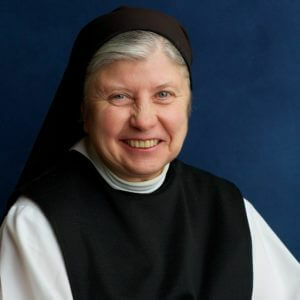 Rita has been in charge of our principal industry, the production and mailing of Altar Breads, for over a dozen years. 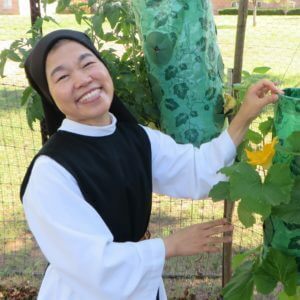 She also takes care of the bookkeeping for monastery and Altar Breads, and acts as sub-prioress with a steady and encouraging personality. 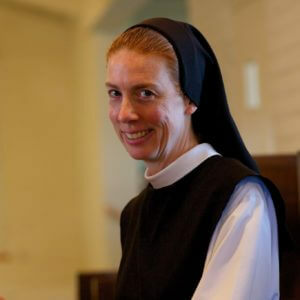 Cheerful support to the prioress and her sisters is a great gift to Vicki and to each of us. 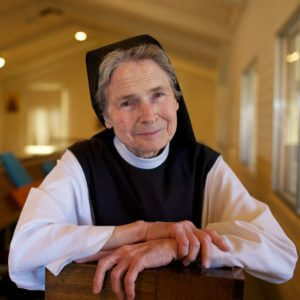 Both a foundress and a Diamond (!) Jubilarian, Clare is a living testament to the life in which she has been immersed over decades of both change and stability. Her gifts of wit and courage lead us into an education on how to approach the privilege of aging, and the joys of community. She serves both us and our callers as portress during half of almost every day. Her talents as iconographer and weaver have enriched and delighted us. Jacqui is our gift from the British Isles, a delightful little person who fills many niches in our life of service to the People of God. 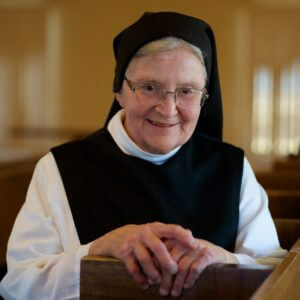 Helper of everybody in need, generous and smiling, lover of the American Southwest with its expansive sky and mountainous landscape, Jacqui’s greatest gift is the presence of a person who embodies a long and faithful living out of Cistercian ideals and practice. She is also a Diamond Jubilarian, celebrating her 60th anniversary of vows in May 2017. Miri is a transplant from our Mother House in Massachusetts, who has taken root in the simplicity and warmth of our Arizona home. Our prioress from 2000 to 2012, she keeps our monastic library well-supplied with excellent books for our on-going formation. The community basks in the warmth and sweetness of her gentle smile. Our neighborhood ravens, also, are very fond of her, waiting daily for her to appear with gifts of stale bread. The whole of the natural world is a great source of joy to her. Esther spent many years as a pillar of our altar bread bakery crew. In recent years, she has had more time to further her gifts as an artist. Her sculptures grace many homes and churches throughout the country. The authenticity of her prayer is reflected in each piece. The “extraordinary” extends to her culinary efforts as well as her dazzling smile. She celebrated her Golden Jubilee (50 years of vows) in March 2017. An exemplar of the generous and thoughtful, we are grateful for the often unseen kindnesses that spill from a personality sweetly geared to service and the happiness of the other. It is not only her happy presence at Altar Bread work, her day as cook, the lovely table decorations for feasts, and the multitude of large and small beauties she provides, but simply for a presence that cheers and enjoys and brings peace. Being the kind of person who does everything well, Pam, our almost-native Arizonan, is the great rescuer. From computer glitches to leaky plumbing to an exquisite voice as chantress in choir, to a cheerfully social disposition, our “tall Redhead” is a gift of God to the needs of a monastic family. For many years our guest mistress, Marg stays busy now as our nurse-in-chief and as manager of the kitchen and menu department—in addition to the good humor and good sense department—as well as to the department of monastic integrity. She celebrated her Golden Jubilee in 2016. It is no small thing to re-learn Religious Life, adapting to a very different culture and language—all out of love for God. Cathy’s generosity, glorious smile, and love for her desert home are major contributions to her new family. She has developed her love for Eastern art, as she writes magnificent icons from her prayerful heart and hands. 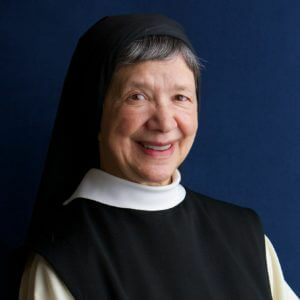 Sr. Cathy’s portrait by Santa Rita Abbey. All others by Guy Atchley.